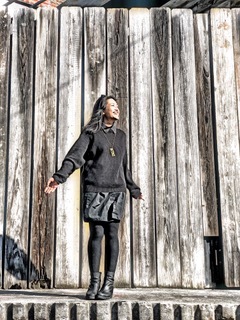 Two weeks after learning Reiki self practice, a student emailed that she’s drinking less alcohol–much less–and has unexpectedly quit smoking! Gift Saengpo-Reger works in real estate, a profession that requires a lot of socializing. She came to learn Reiki with me on the advice of a good friend. He told her she wasn’t present or grounded, that her mind was always off somewhere else and she needed to take better care of herself. Over the course of a long networking evening that could span several parties, Gift used to enjoy up to 10 drinks–cocktails, beer, wine, shots. Now her tolerance for alcohol maxes out at three drinks. And instead of drinking most nights, she’s drinking only two or three times a week. And she’s enjoying other unexpected benefits. Gift now goes to bed before midnight instead of 2 or 3 AM. That’s important because most self-healing happens while you sleep. And, maybe because she’s sleeping better, Gift’s skin is so glowy she doesn’t feel the need for a facial. Plus her morning meditation has deepened. Drink less alcohol, stop smoking with Reiki guarantee? Am I touting Reiki as a drink less alcohol, quit smoking cure all? Of course not. Reiki practice helps your system find its natural balance. We all know how good it feels to be balanced. That said, balance is not a fixed state. Balance means different things to different people, and different things to the same person at different times. That’s why although people commonly finish Reiki self practice feeling relaxed, calmer, more centered and present, we can’t predict the other details of what being more balanced will look like for any particular person, both immediately and as their daily self practice continues over time. For example, one student who came to Reiki class to quit smoking found she smoked much less, but didn’t quit. Yet without even thinking about it, she stopped drinking coffee, a goal she’d carried in the back of her mind. It was weeks before she realized she hadn’t had coffee since she stopped at Starbuck’s on the way to our first class session. In more than 30 years of professional Reiki practice, I’ve seen many students support their sobriety with Reiki self practice, or simply drink less alcohol. I don’t know if that’s what will happen for you, but isn’t it worth a try? How much Reiki self care is enough? Of course it makes a difference how long you self practice and how often, but there is no one-size-fits-all. Remember, balance is individual and of the moment. If you’re addressing a medical condition or life is stressful, it makes sense to practice more often and practice longer when you can. Then you can taper off as your health and well-being stabilize. As a rule of thumb, I encourage students to commit to one full Reiki self practice each day that lasts around 30 minutes. That alone will make a significant difference in your life. Reiki is simple enough you can practice in bed, so your Reiki self care won’t jam your schedule. You can practice more than that if you want to, or need to–another full practice, a shorter modified practice, or Reiki touches throughout the day to bring you back to yourself, especially if you feel the urge to drink or smoke. It’s up to you and it’s all good. Gift is practicing two full self-treatments every day because she enjoys her practice so much. Her evening practice brings her to bed earlier and helps her remember her dreams. She practices again when she wakes up because practicing Reiki keeps her hands off her cellphone. Instead of slamming into high gear before she’s even out of bed, now she savors that first hour of her morning — which sets the stage for a calmer, more productive day. Did feeling less stressed lead Gift to drink less alcohol and quit smoking? That seems reasonable, but who knows? It makes a difference that she’s practicing because she enjoys it and not to get to specific outcomes, ticking off even valuable boxes like drink less alcohol and quit smoking. While a to-do list helps productive people get things done, the mind also needs down time. In order to feel better, it might be time to stop trying so hard. I’m not saying it isn’t important to drink less alcohol or quit smoking. Those are valuable health goals proven to make a difference. But be mindful not to practice Reiki to get something. That burdens your Reiki session with the weight of your expectations. And remember, because Reiki practice is balancing, and balance is a moving target, we can’t know what details to expect beyond feeling better quickly. Instead of focusing on what you want to make happen–to lose weight, drink less alcohol or quit smoking–try practicing to enjoy that exquisite tenderness as you surrender to your self care. How does that sound? In more than three decades of professional Reiki practice, I’ve worked with many adolescents and teens, both giving them treatment and teaching them self practice. They quickly feel the sweet difference balance makes, and they appreciate not having to talk. Adolescents and teens who learn self practice value being able to soothe themselves. At the end of her email, Gift wrote, “It’s magical.” Yes, Reiki practice can feel magical, but it’s really just natural. Your body has an amazing capacity to self-heal. And that’s how Reiki works, by optimizing your self healing. That’s even better than magic! Has daily self Reiki transformed your life? If so, please share in a comment below. If not, what are you waiting for? 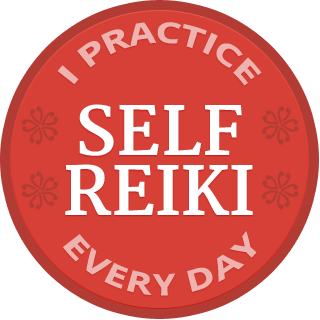 The Daily Self Reiki Challenge gives you 30 days of free email support. If you haven’t learned to practice Reiki, come to one of my in-person or online Reiki classes. Read more Reiki stories to see how Reiki helps other people like you feel better and function better and make better choices, ones that help them continue to feel better and function better, with greater confidence and ease, and enjoy their lives more fully. NEW YORK CITY Reiki & Medicine Intensive April 12-14. AT HOME Learn Reiki Self Care Online in a live, interactive teleconference format March 16, 17 & 24. GREETINGS TORONTO! 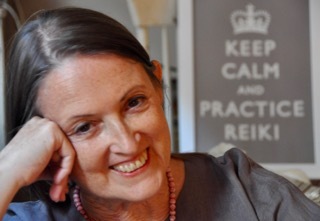 One-day Reiki Precepts Retreat: Inviting Happiness Sunday, May 26. I am on day 27 of the daily self reiki challenge and while it’s my second or third time completing it, this time feels different. Instead of treating it like a task on my to-do list I’m seeing it as a small window of time each day for self care, and a cocoon of love and healing. ?? It’s become my go to when stressed it feeling overwhelmed and it’s helping so much. How wonderful, Melanie! Thank you so much.